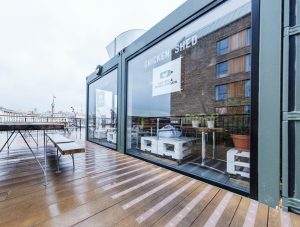 Fast-growing fabricator The Window Outlet has collaborated with North West Bifolds to supply AluK’s premium BSC94 patio doors to CARGO, the exciting retail space constructed entirely from shipping containers, found in Wapping Wharf, Bristol’s vibrant new harbour side quarter. CARGO 1 and 2 incorporate a diverse array of businesses, including a yoga studio, a jeweller, a juice bar and restaurants with cuisine from around the world. CARGO 1 and 2 are home to over 50 converted shipping containers across two levels. 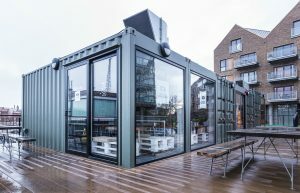 The addition of AluK’s inline patio doors allows many of the repurposed shipping containers to feature glass frontages, providing fantastic views out on to the harbour. For more information about The Window Outlet, you can send us an email or call us directly on 0117 405 8488.